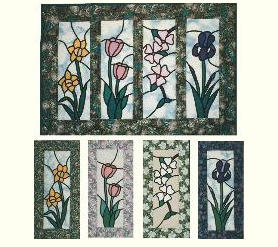 It has been a while since we have done a stained glass class, and we have had many requests! Join me as we venture into one of my favorite techniques and make a pretty floral panel for summer. I like this class because we get to use fusible bias (and I always choose gold!) and a twin needle! Great fun, and truly easy!